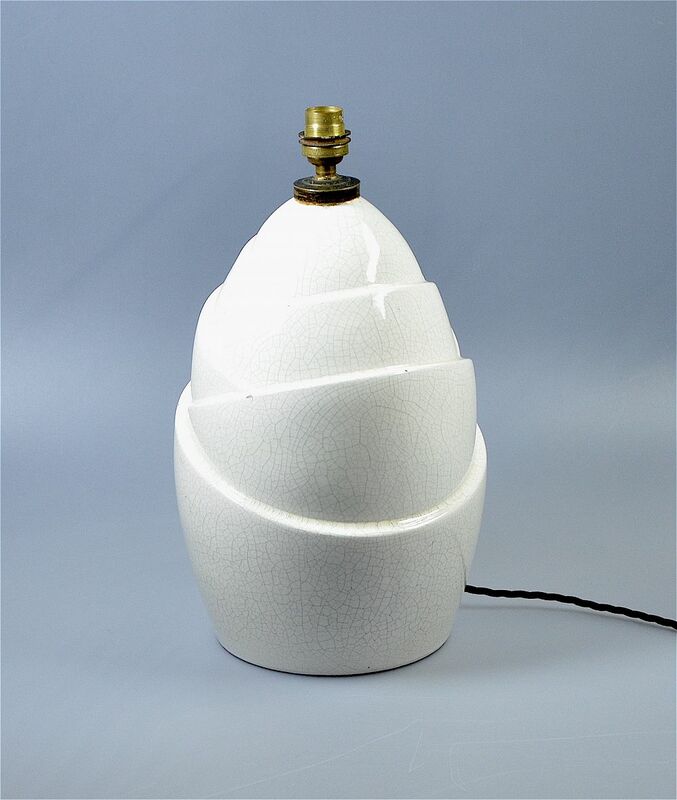 This very stylish French Art Deco lamp is made of ceramic in the crackle effect glaze know as craquelure. It is shaped like a lotus bud with deep incisions defining the curled petals. A great addition to a room.